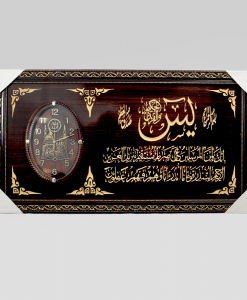 Discover unique wall arts on Habeebat. 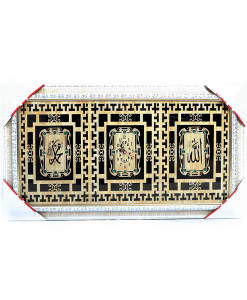 Shop hanging wall frames, Islamic wall arts and Arabian wall arts. Enjoy safe shopping and fast delivery. A beautiful muslim home is more than just for the pleasure of the eyes. Yes, the first reason why we decorate the home is to create a perfect ambience for the home. You want to invite your guests into a well-organized, beautiful environment and home décor tends to create that. But do you also know that some of these home decorations not only make everywhere beautiful, but tends to bring some sort of peace to the home owner? That is why some people would choose calm colors, and others would choose bold colors to decorate the home with, because it tells their personality and soothes them. And of course, your home is the one place you want to be calm and at peace with yourself. One of the kinds of home décor that can bring this sort of feeling is wall art. 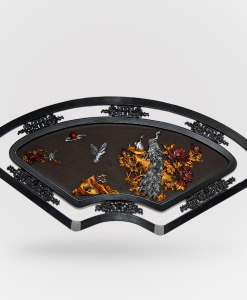 Wall art brings a feeling of completeness to the decorating style you have. 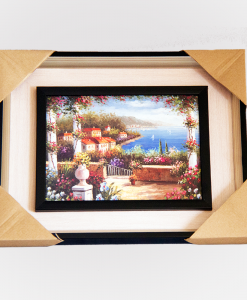 And they do not only come in wooden portraits; there are different types of wall art you can use to decorate your home. Mural: this is a painting or art work done directly on a wall or ceiling. Wall paper: very popularly used, wall paper is a designed paper with a sticky back that can be used to cover a part of the wall or the entire surface. 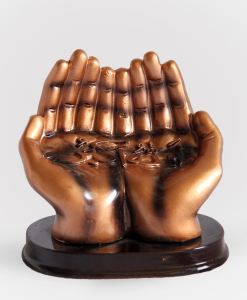 They come in different designs and are commonly used in home decoration. There are the temporary and the permanent ones. There are also the 3D design styles. Wood: wood brings to mind a plain stretch of stick. But the wood used in home décor are usually carved, sketched on, designed and sculpted in a way that it is more than just wood. If you are looking to pull off a traditional home décor design, wood would give your room the kind of ambience you are looking for. 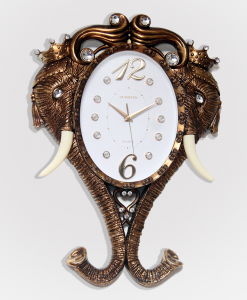 Traditional wall art: traditional art includes wall hangings from our various cultures here in Nigeria. It also can be wall designs depicting our religion. 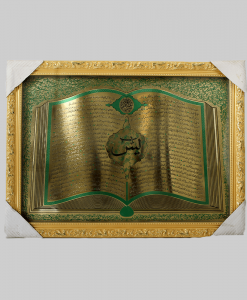 A wall art with a Qur’an design would look very nice on the wall. Abstract art: these are wall arts in colors, designs and mostly geometric forms. Of all the designs listed above, the most accurate ones are the traditional designs. 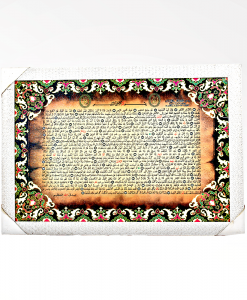 Let your home décor speak about your tradition and religion clearly even before people ask you, and choose wall art that brings you happiness and makes you eager to go back home. 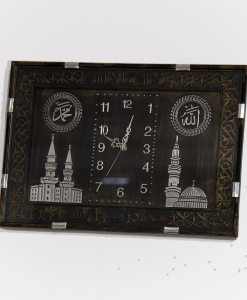 You can find all these on Habeebat online store. 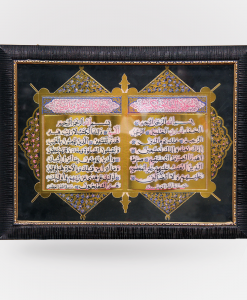 Get wall art depicting the Qur’an verses, praying hands, frames with inscriptions and even modern wall art online in Nigeria from our store at amazing prices. 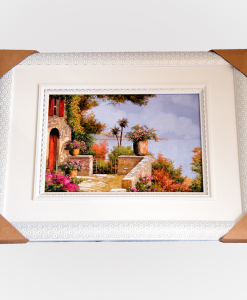 Thinking of the perfect house warming gift for a friend or colleague? 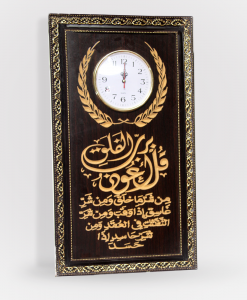 Habeebat has the best wall art designs for you to make a pick from. We have an exhaustive list of items for you to pick from, so why not start now?